Dr. H. Michael Chitwood has been the Founder and CEO of The International Congress of Churches & Ministers for over 30 years. 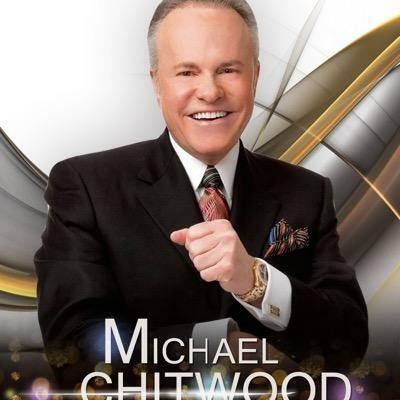 Dr. Chitwood has been teaching churches and nonprofits how to “Get Their House In Order” through Television, Radio, and Live Events. As a best selling author and speaker, he conducts over 200 conferences a year teaching compliance and financial accountability to over 20,000 attendees. Dr. Chitwood’s goal and lifelong calling has been to help churches and ministers become and remain compliant. He has always been led by God to help people help themselves. As an ordained minister and “The Authority” on financial matters, he has pledged his life to share his knowledge freely with men and women of the ministry. With over a hundred best-selling books, he is one of the nation’s most highly coveted public speakers. The overall organization has been in existence since 1962. The primary focus of the organization has been to create a structure that would educate and provide assistance to pastors and church leaders. We have always believed that if our organization could eliminate some of the legal and administrative issues from the responsibility of the pastor then they could focus on their vision. A strong foundation of compliance with IRS and legal purposes would give them a strong foundation for their church or organization. ICCM is not for teaching denominational tenets, nor do we desire to create a denominational structure. We are working between denominations, churches, and organizations to raise up a mighty fellowship so they can service churches, ministries and nonprofit organizations so they can better serve the Body of Christ. ICCM is not a self-improvement program. God is not teaching self-improvement but is taking individuals, churches and nonprofit ministries, both women and men, to equip them to focus on their spiritual calling. God has emphatically spoken to me to take every aspect of what we do now and what we will continue to do for individuals, churches, pastors, and nonprofit organizations and make it available in a combined worldwide fellowship of Christians.